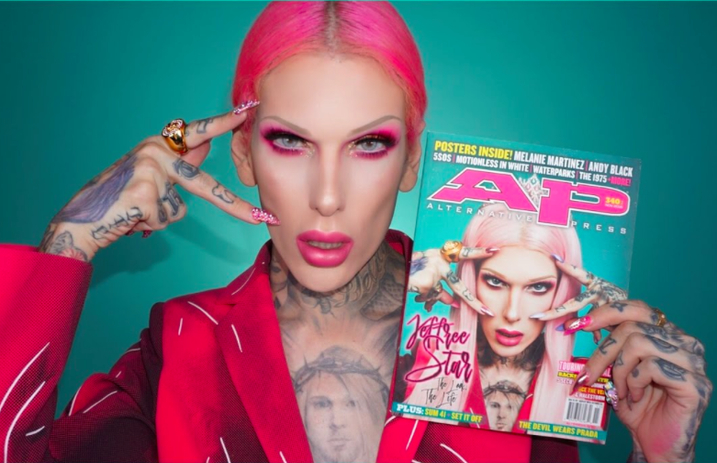 To start celebrating his massive makeup brand's two-year anniversary and thank fans simultaneously, AP 340 cover star Jeffree Star announced this morning (10/26) that some of his best-selling liquid lipstick shades are now restocked. Not only that, but he's given fans a flash free shipping sale in the U.S as well. Act fast though—the sale only lasts for 24 hours! Grab one (or seven) here. Star launched his makeup brand, Jeffree Star Cosmetics, in 2014.